W5511EA - 3-COLOR "STERLING SILVER"
New! 3-Color Sterling Silver Fishhook Wire Earring Assortment. 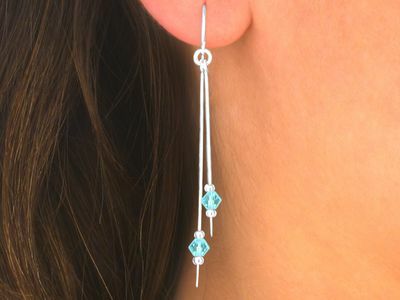 Each Earring Suspends A Rod Accented By Colorful Faceted Beads!